"Living is like tearing through a museum. 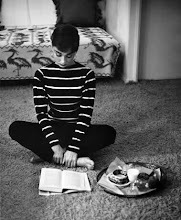 Not until later do you really start absorbing what you saw, thinking about it, looking it up in a book, and remembering - because you can't take it all in at once." 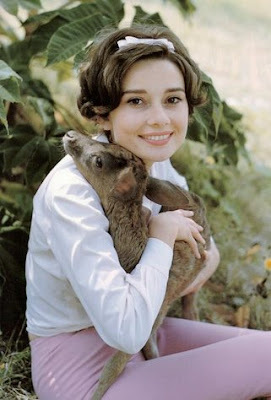 What a lovely picture of Audrey Hepburn! Your blog is lovely, thank you for your encouraging comment on my blog. So glad I discovered this lovely place! That picture is so darling! You always find such unique ones, Emily! it's so sweet she had a pet deer.